Game Art talks about the art of making games more than the visual art of the games themselves. 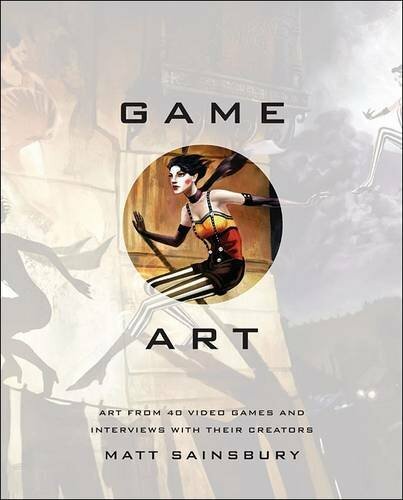 Highlight of the book are the interviews with the video game designers. I really enjoyed reading those and finished the book in one sitting. The book features a good amount of independent games. And I like that there aren't any shooter games included. It's great that there are these independent developers chasing their dreams and creating games that are different from resource-rich developers. The result is you get gameplay that's significantly different from the usual big budget games. Hence, the gaming experience these independent games provide are also much different. There are so many lesser known games mentioned in the book that I've never heard of, such as Never Alone, Naissancee, Flowmo and so much more. There are other big games mentioned as well, such as Final Fantasy XIV: A Realm Reborn, Dragon Age: Inquisition, Dead or Alive 5, Alice: Madness Returns, Hyperdimension Neptunia and a few others. Overall, there's a good mix of games from the East and West. You'll get to read about how the creators are inspired and come up with ideas for the games. There are creators who were affected by the 2011 Japan earthquake and wanted to bring that mood into the game. There are also games on making bread, cooking or eating curry. There are also games inspired by history such as Samurai Warriors and Dynasty Warriors. There are lots of different topics, like how creators handle critiques, how they imbue culture into games, the thought process, etc. I would have loved to read an interview of creators of shooter games on how their milk franchises though, on why there's the lack of courage to branch out. But that would go against the theme of this book which is to explore creativity in game design. It's a nice book on video games. Just don't expect it to be an artbook as most of the graphics included are screenshots and promotional splash-page-type art.